The Ocean Grove Camp Meeting Association welcomes the new year with a new director of operations and a new facilities manager that the association said will strengthen its role as one of the leaders of summertime spiritual, educational and recreational events at the Jersey Shore. Retired Neptune Police Det. Lt. Jeff Force is the new director of operations. He is a former Catholic Charities Residential Counselor. Bill Bailey, who retired after five years as the director of operations, will focus on his new responsibilities as facilities manager, responsible for oversight of the Great Auditorium and buildings within Auditorium Square. Earlier last year new Executive Director Rev. John DiGiamberardino and Administrative Coordinator Karen Adams joined the staff. Bailey is a Neptune native who grew up in Ocean Grove. He served as a police officer for 31 years, retiring as Deputy Chief. He has always been actively involved in the community, including 41 years as a member of the Ocean Grove Fire Department, which he served as chief. 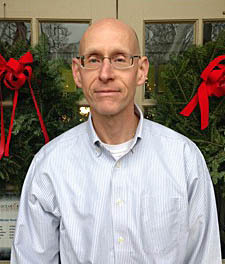 OGCMA’s new Director of Operations, Jeff Force, also grew up in Ocean Grove. He attended Neptune High School and Roger Williams College in Bristol, Rhode Island, then worked as Principal Project Manager for the State of New Jersey Department of Transportation (1985-1995), overseeing technical environmental investigations. In 1995, Force joined the Neptune Township Police, working his way through the ranks from Patrolman to School Resource Officer, Detective, Detective Sergeant and Detective Lieutenant. He worked as a Residential Counselor at a Catholic Charities transitional facility and as a School Resource Officer for Neptune Township public schools.before joining OGCMA. “It is extremely humbling to have grown up in a great town like Ocean Grove and to now be a part of the Ocean Grove Camp Meeting Association in a position to give back to the community” Force said.